We’re a disconnected nation. It’s summer and there is no wacky, oddly-fun ice bucket challenge happening on social media to connect us all. We are tired, torn and frustrated. We are fighting one another. I suggest a road trip. We need an adventure. Something to relight our inner American flame before she flickers out. I propose disappearing to quiet Solomons Island, Maryland and embracing an American adventure. Road trips give me a sense of freedom and I’m off, leaving the rest of my hectic world behind to renew my spirit. I wonder what it will take to renew our countries’ spirit. I find the simple answer for all of us on Solomons Island. It’s the tip of the iceberg, but it’s a start. I make my way toward a restaurant on the pier and devour a dozen raw oysters with extra lemon. There is plenty to do – if I have the desire to go, go, go – boat rides, fishing excursions, you name it. But I don’t. I want to keep it simple. Anything I do on the shore involves fresh seafood. 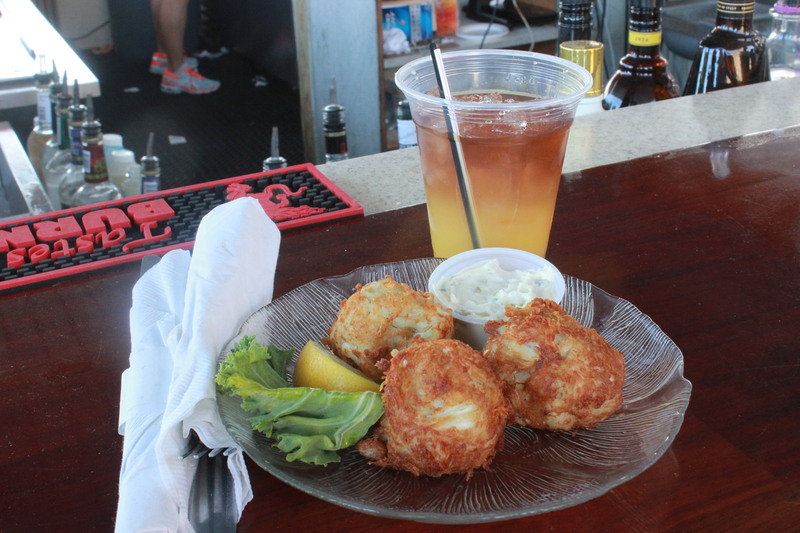 There are fresh oysters from The Pier at Solomons as well as very tasty rockfish bites and crab cakes to be eaten. Food connects us. But this isn’t enough. I’m still feeling the grip of my torn America. I explore offerings of fresh crabs (medium and large size) covered in Old Bay with hot drawn butter, lemon and vinegar as tasty options. I talk to locals about their unease in our divided America. Next I walk on the boardwalk and notice an American flag, a stunning piece of art for sale hanging inside Solomons Gallery. Note to self: That flag, framed in a weathered window pane, goes on my wish list. I’m staying at a charming Chesapeake Bay inn, in an enormous light and airy third-floor suite that offers three different and spectacular views of the Chesapeake Bay, each with its own comfortable sitting area. I’m told to experience the oversized whirlpool tub for two. Except I’m solo. The main house of the inn was built in 1906 in Queen Anne Victorian style. According to information provided by Solomon’s Island Business Association, Solomon’s is located at the southern tip of Calvert County, in Southern Maryland, where the Patuxent River meets the Chesapeake Bay. The island itself was variously known as Bourne’s Island (about 1680), Somervell’s Island (1740- 1814) and Sandy Island (1827- 1865). 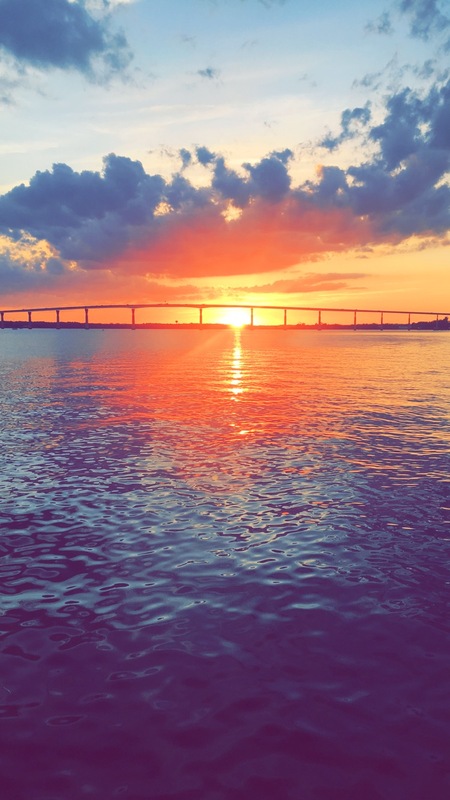 Solomons Island is just across from the United States Patuxent River Naval Air Station (on the south side of the mouth of the Patuxent River). I remember this from my time covering the Navy in the early 1990’s. According to the United States Census Bureau, Solomons has a total area of 2.3 square miles and nearly 15% is water, consisting mainly of Back Creek, a tidal inlet that extends north from the Patuxent River. It takes about one day to become intimately familiar with Back Creek. I like being somewhere that is only two miles, most of which is water, boats and seafood, and real happiness. A late dinner at The Lighthouse and my mussels are loaded with garlic and hot drawn butter. It’s more like I ordered mussels to come with my bowl of hot butter. It’s heaven in a bowl. No complaints other than a few of my mussels aren’t open or won’t open but there are so many of them I’m getting full. Drenching the plentiful garlic bread into the hot liquid may be to blame. I see a man on a yellow boat. Island legend has it he stays on the water year round. 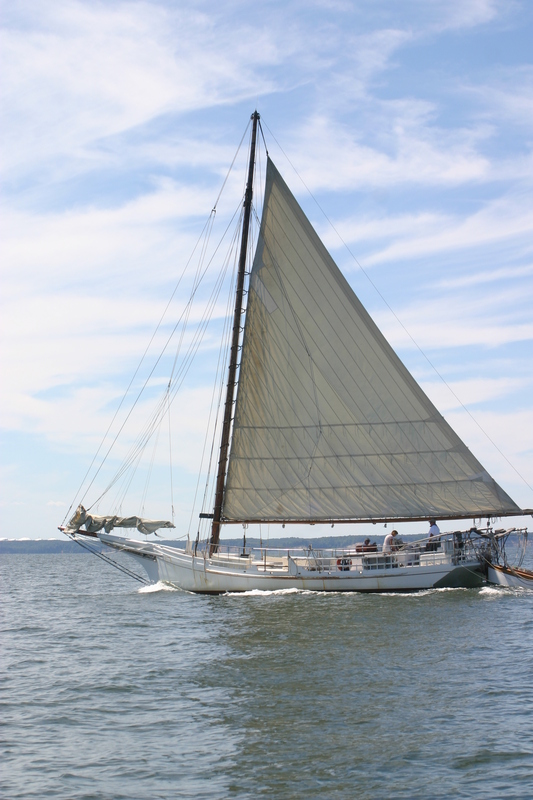 A couple of locals describe him as fixture at Solomons Island. He’s certainly a good conversation piece. The couple at next table talks about the man on the yellow boat. In this moment I feel we are all connected. Real conversations and meaningful easy moments. No one is arguing about politics. Then a nighttime surprise comes in the form of a tall, stand-alone statue called “On Watch” that I never knew existed. There is very little written about it. A local art dealer gives me a history lesson about how Solomons Island was used as the training ground for the military to practice storming the beach of Normandy. I imagine the invasion. The water. The exhaustion. The strength. The courage. Then I discover a little-known monument hidden away on the island dedicated to those who trained here and served. I ask to be taken to see it, even in the dark. I get in the local’s car and we drive onto the island’s backroads and make our way to the Protector. That’s what I decide to call it – the lone man keeping watch – the Protector. 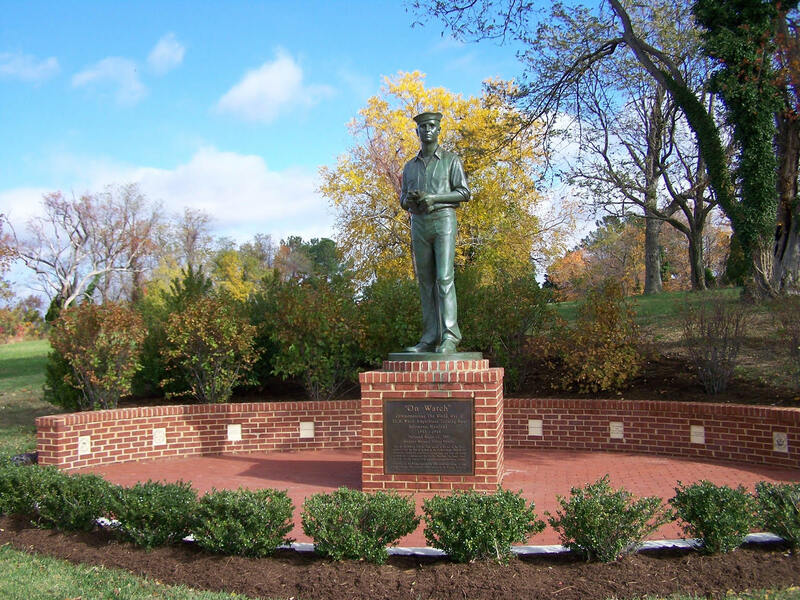 It is the On Watch statue that I never knew existed. In the moment I jump out of the car, leaving the door open and my purse on the floor mat where my flip flops sit. There is a single spotlight shining on the monument and I walk up to him and feel a sense of obligation to be silent and respectful. I slowly raise my iPhone to take a picture and bow my head to honor those who served. Respect. I feel the soil beneath my bare feet and I’m truly moved to be in the presence of this monument, which is silently keeping watch on all of us. He is On Watch of all Americans. My hope is anyone reading this will be drawn to Solomons Island and ask to see the protector On Watch. He could be our symbol, if we allow him, to reconnect us and remind us that we are “One Nation under God”. In this moment I feel safe under this protector. This is what our country needs right now. A safe harbor. I hope our country can reconnect. I drive home, with my inner light re-lit. My America is a place where we are all protected. I set a piece of driftwood from a beach hike on my coffee table as a reminder of how simple and peaceful life can be. I vow to unplug a little more and connect more often face to face with those I love. I remind myself to live simply. That I have all I need. That simple pleasures are most meaningful. And I’m grateful for those who stand watch. Protecting my family. Protecting our country. A Northern Virginia writer discovers a Solomon’s Island hidden gem and a protector of our nation. Beth Jannery is the Director of Journalism at George Mason University and author of the novel The Admiral’s Daughter.